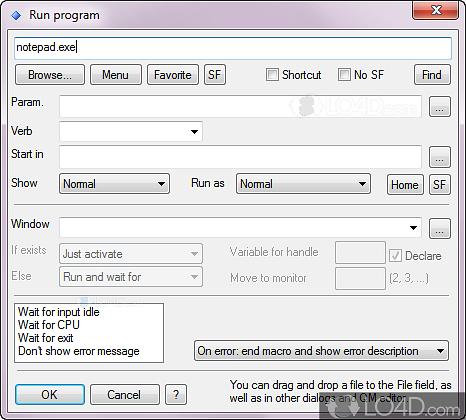 Quick Macros is a shareware macro creator app filed under automation tools and made available by Gintaras Didzgalvis for Windows. The review for Quick Macros has not been completed yet, but it was tested by an editor here on a PC and a list of features has been compiled; see below. 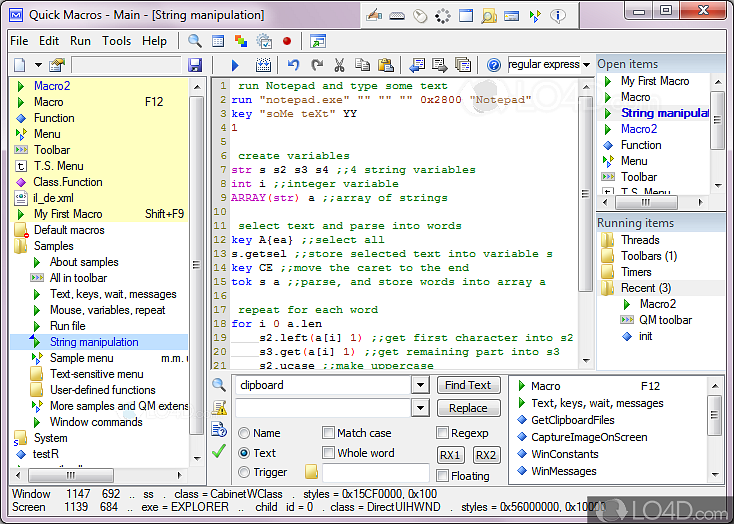 Quick Macros is a universal and extensible automation program. You can create or record macros to automate repetitive tasks in any application. 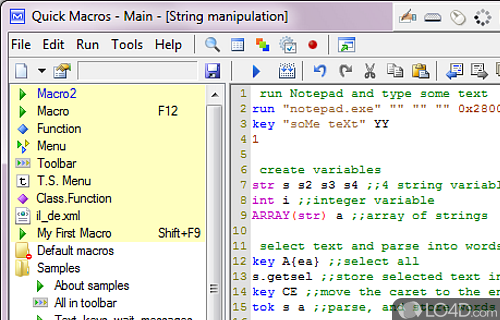 Macros can press keys, run files, manage windows, process text, automate web pages, and more. 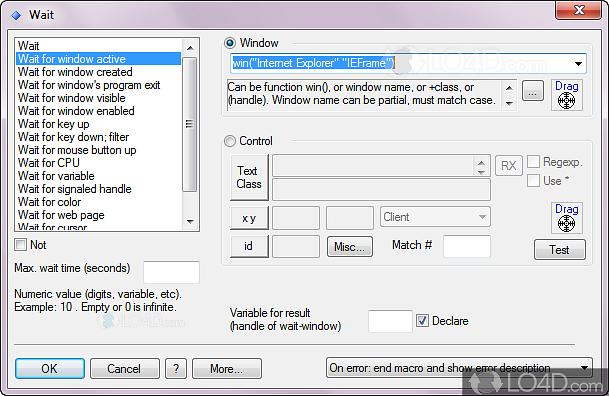 Also you can create functions, classes, windows, exe files, and use DLL/COM functions. 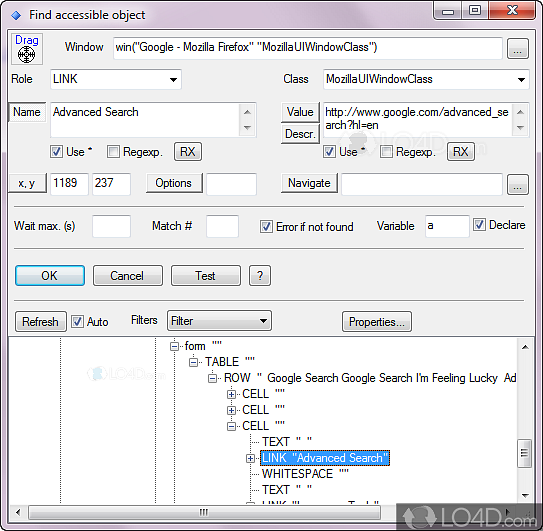 Available triggers include hot-keys, text, mouse, window, scheduler, menus, and toolbars that can be attached to any window. Quick Macros is licensed as shareware for the Windows operating system from automation tools and can be used as a free trial until the trial period ends (after 30 days). The Quick Macros 2.4.3.8 demo is available to all software users as a free download with potential restrictions and is not necessarily the download of the full version. Compatibility with this macro creator software may vary, but will generally run fine under Microsoft Windows 10, 8, 8.1, 7, Vista and XP on either a 32-bit or 64-bit setup. A separate x64 version may be available from Gintaras Didzgalvis. This download is distributed as quickmac.exe. We have tested Quick Macros 2.4.3.8 against malware with several different programs. We certify that this program is clean of viruses, malware and trojans.